Digital signal processing is currently in a period of rapid growth caused by recent advances in VLSI technology. This is especially true of three areas of optimum signal processing; namely, real-time adaptive signal processing, eigenvector methods of spectrum estimation, and parallel processor implementations of optimum filtering and prediction algorithms. In this edition the book has been brought up to date by increasing the emphasis on the above areas and including several new developments. 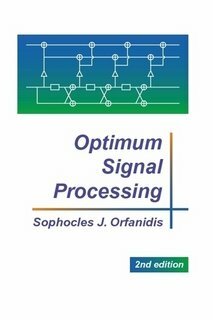 This book examines how to convert a typical filter specification into a reasonably accurate estimate of the length of the impulse response. The text covers filter sizing, performance comparisons with other FIR design methods, etc.